KnowledgeDesk Knowledge Management is a fully-compliant Knowledge-Centered Service (KCS) system that enables organizations to create, manage, search, share and use articles to resolve customer tickets. Use Knowledge Management as a standalone application to capture and reuse organizational knowledge, or use Knowledge Management with KnowledgeDesk's Help Desk to empower your service desk or customer service team. Build a comprehensive, structured knowledgebase that enables your help desk or customer service organization to learn once and reuse multiple times rather than re-learning with each customer inquiry. 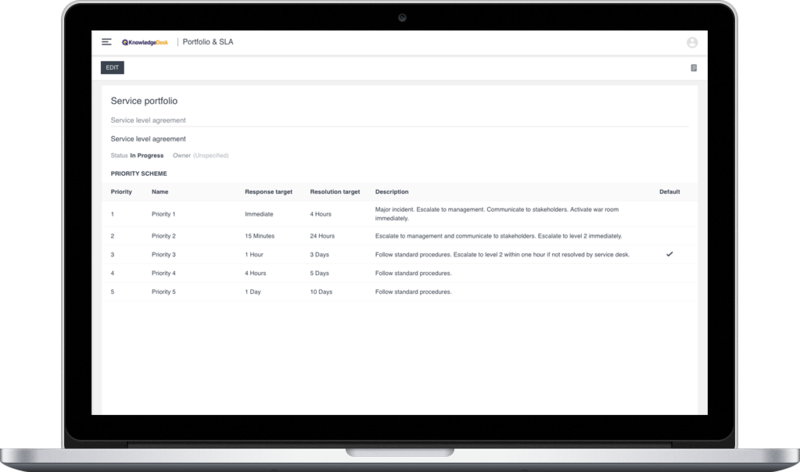 KnowledgeDesk provides structured templates for different article types to support your customers including issues, questions and references, and requests with each template providing the fields required to support your customer service process. Using robust permissions, control which users can create, edit and comment on which articles and share selected articles directly with customers through the KnowledgeDesk self-service portal. Anyone with permissions can edit an article using simple article templates that promote consistency of content and presentation. Rich text fields allow for images and videos to be embedded, fast links to additional resources, and quick access to attachments containing supporting content. Finding articles is fast. Articles can be searched, browsed, filtered, and sorted. A content view provides a results list by relevancy ranking, a detailed view enables easy list manipulation, and a pivot table view summarizes the number of articles based on the article properties. You select the articles to be instantly available to your customers through a branded self-service portal. You can easily enable your self-service knowledge to be open to the public or closed to customers who are required to login. Assign users to the Knowledge-Centered Support roles of Admin, Knowledge Manager, Publisher, Contributor, Candidate, Reader, or Customer. Permissions have been predefined and can quickly be modified to support your needs. Assign articles to Services and use the Applies-to tags to assign them to products, applications, locations, groups, or any tag of your choice. All tags are searchable and can be used to filter results. Select the article type to change the presentation template and available fields. Does the article capture an issue, a question, a request for how to information, a diagnostic, escalation guidance, or reference material? Don't delete articles that are no longer needed, archive them. Archived articles are removed from routine searches and self-service. Everything about them is saved. They can be quickly restored if needed. In addition to viewing articles in list layout, view article counts in a pivot table layout. Customize the row and column values to see a statistical representation of articles and quickly view a list of articles for each table cell. Streamline the creation and management of tickets from articles by adding metadata to articles including the associated service and tasks to be automatically created when an article is used. KnowledgeDesk Help Desk transforms traditional customer support and help desk environments by empowering them to reuse and leverage knowledge articles as tools to resolve customer tickets, decreasing average time-to-resolution, decreasing organizational costs and improving customer satisfaction. Moreover, by reusing knowledge in the resolution of help desk inquiries, organizations are able to more quickly identify the root cause problems driving customer issues. 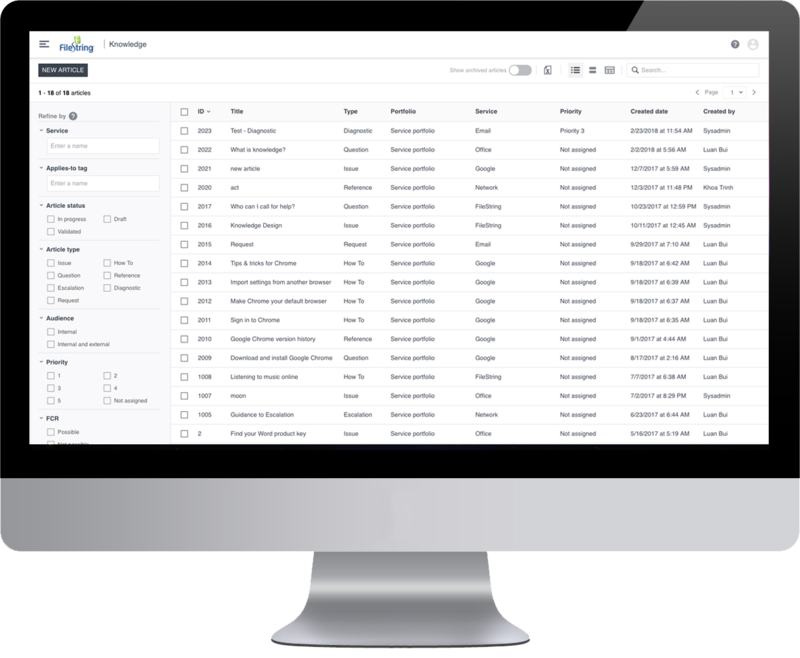 KnowledgeDesk Administration is the IT Manager's new best friend, providing robust capabilities to manage users and permissions; organization locations and structure; article and ticket configurations and assignments; service level agreements and priorities; and application branding. KnowledgeDesk Service Management is an integral component that supports Knowledge Management and Help Desk capabilities by enabling organizations to create and manage services through their lifecycle. 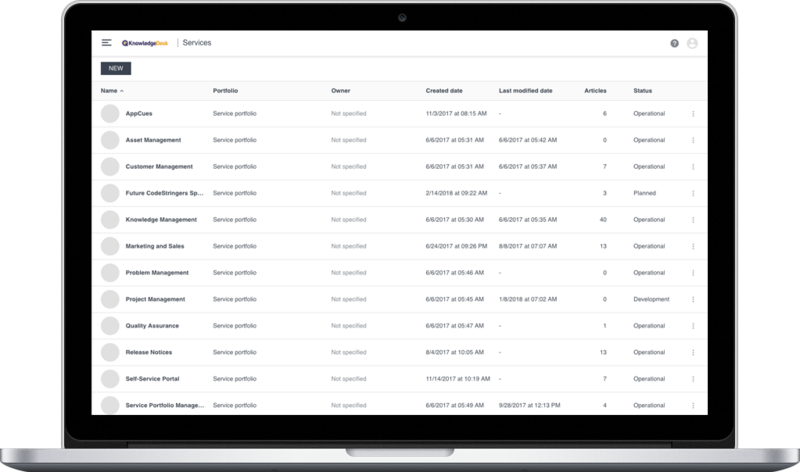 Create and manage service level targets and assign service level priorities to each article and ticket to govern automation of ticket handling, including routing, prioritization, due dates and escalations, and measurement and reporting of performance relative to service level commitments. KnowledgeDesk will release our beta in April 2018 to pre-selected organizations. 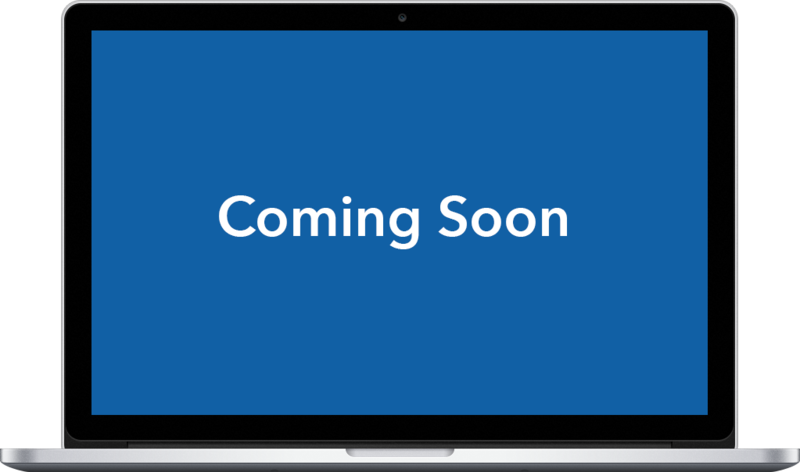 To add your organization to our waiting list, sign up now, and be among the first to see Service Management software redefined. Copyright © 2018 Vitil Solutions Inc d/b/a KnowledgeDesk. All Rights Reserved. To reset your password, first enter the email address that you use to sign in. You will receive an email with instructions on how to reset your password.